Wall Racing will campaign two cars in 2018 Liqui-Moly Bathurst 12 Hour. 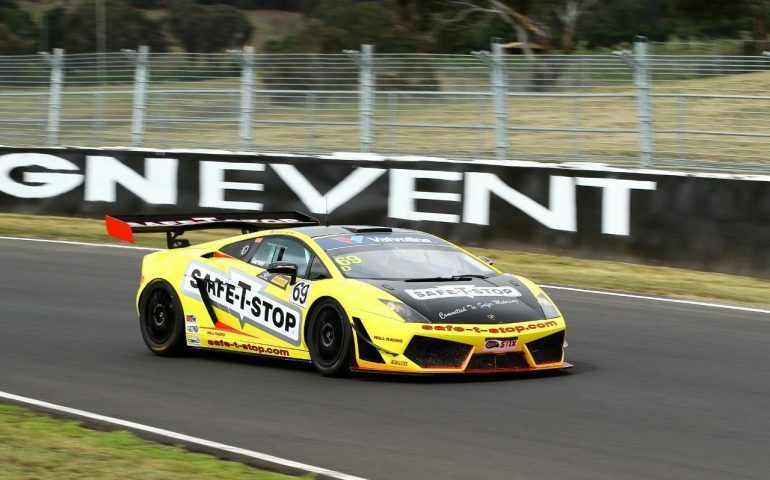 As previously announced Wall Racing will prepare and run the Richard Gartner Lamborghini Gallardo GT3 that finished 3rd in last years Australian GT Trophy Series, along with claiming the pole position award. Richard Gartner will be joined by John Bowe, David Wall and Hadrian Morrall. Richard upgraded to the Lamborghini from a Porsche GT3 Cup Car that he raced in previous Bathurst 12 Hours, finishing fourth in class in 2017 and second in class in 2016. John Bowe has a tremendous amount of motor racing experience, having recently announced that he will be inducted into the Australia Motor Sport Hall of Fame in March. David Wall current Australian Carrera Cup Champion and Class B winner from the last years event brings extensive Bathurst miles to the squad along with Hadrian Morrall who also claimed a class podium in the 2017 event and previously raced the Bathurst 6 Hour. “The plan is to go there and stay out of trouble, the car should be well suited to the Bathurst track and all going to plan we will have a strong result in the AM class” said David Fyfe, Wall Racing. The Lamborghini will be supported by Safe-T-Stop, Wilson Security and PB Packaging. Fresh from a class victory at 24 Hour at The Circuit of Americas and finishing 6th outright. They will be a very strong chance for Class B victory, having all raced in the 2017 Bathurst 12 Hour in GT4 class and they are all very accustomed to driving the 911 Porsche. “We are hopeful for a good showing for both cars and as always we are looking forward to the Bathurst 12 Hour, it’s a great for the drivers but also for the crew, giving them the opportunity to use strategy and everything else that goes into a long distance race,” said David Fyfe, Wall Racing.